Ana and Vlade Divac Foundation, in partnership with the Centre for Decent Work, awarded grants to several local civil society organisations for the implementation of projects aimed at strengthening gender equality and improving the status of single mothers in the labour market. 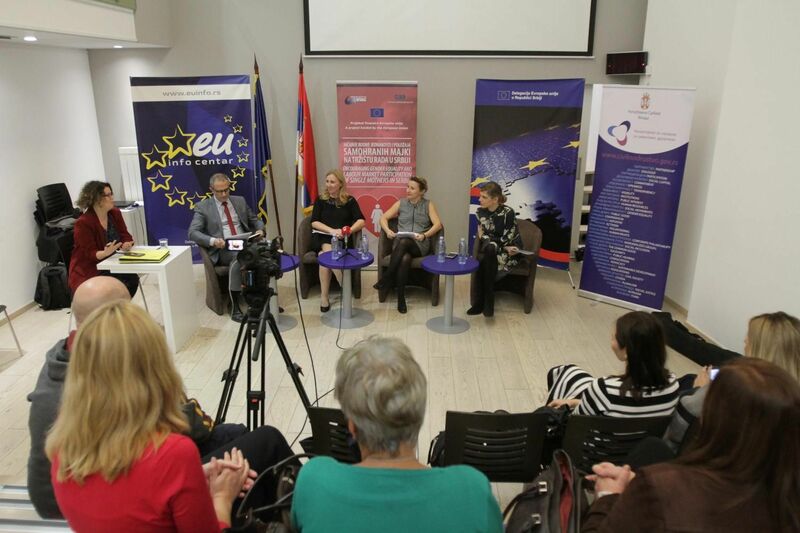 Offering support to local organisations is an action within a larger project “Strengthening gender equality and status of single mothers in labour market in Serbia,” funded by the EU. 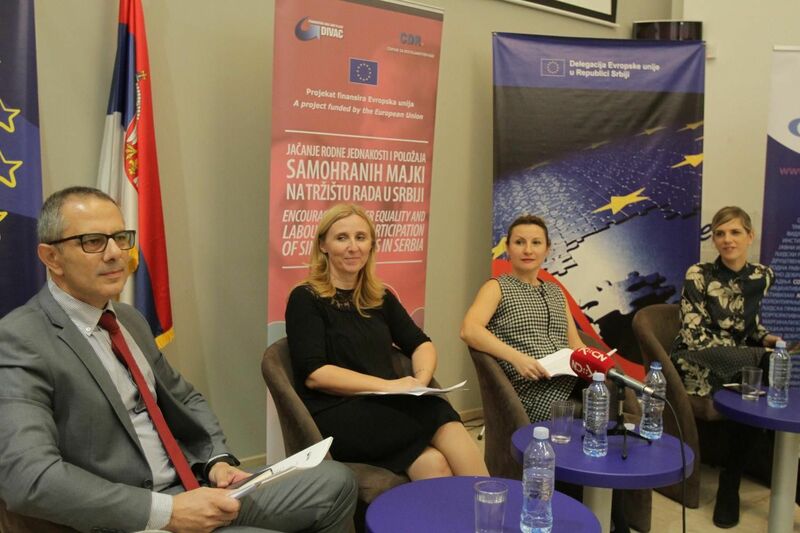 The EU Delegation to Serbia will continue to support such activities and projects as they yield best results at the local level, said Ana Milenic of the EU Delegation to Serbia. Six CSOs have received support to implement advocacy initiatives with the goal of boosting employability of single mothers: Okular (Ćićevac), Roditelj (Belgrade), Laris (Čačak), Miona (Aleksandrovac), Lav (Pirot), Lužničke rukotvorine (Babušnica). Zarko Stepanovic, the Director of the Office for Cooperation with Civil Society, which co-funds the project, said “the Office will continue to support such efforts both financially and technically. I congratulate the grantees and hope that we will continue our cooperation with local CSOs in the future“. Having in mind the low employment rate among single mothers and a large number of single parent families living below the poverty line, it necessary to improve the socio-economic status and work rights of single parents through creation of a more favourable employment environment by building links between the public, civil and business sector. “Through programmes aimed at proper upbringing of children and youths, Ana and Vlade Divac Foundation has been a longstanding advocate of vulnerable categories, such as single parents,” said Ana Koeshall the Director of Ana and Vlade Divac Foundation, adding that their work with local organisations is rather important as they are the most familiar with the needs of the vulnerable. She reminded that all data suggest that single parent families are at higher risk of poverty and social exclusion or are living below the poverty line. Economic empowerment, of women in particular, she said, brings a lasting solution to this problem. Ivona Gvozdenovic, the project manager, said the analyses of the status of single parents in the labour market – conducted by Ana and Vlade Divac Foundation – showed that single mothers had a hard time entering the labour market. They, she said, have a hard time striking a private-professional life balance, receive lower income and are more often subject to fixed-term employment contracts. This is further aggravated by the lack of community-based services and information about their rights and opportunities, as well as the lack of proper retraining and additional education programmes. The project “Strengthening gender equality and status of single mothers in labour market in Serbia“ is implemented by Ana and Vlade Divac Foundation in partnership with the Centre for Decent Work, with support from the European Union under the European Instrument for Democracy and Human Rights (EIDHR), and is co-funded by the Office for Cooperation with Civil Society.